A tree by any other name would smell as sweet, but yours will be truly unique! Your tree brings magic to your home at Christmas. It holds your memories on its branches, lights up the room, and hugs your gifts under its’ canopy. Your tree has its own personality, so isn’t it fitting that it should have a matching name? Are you partial to Braydon, Madison, Luke or Isabella? 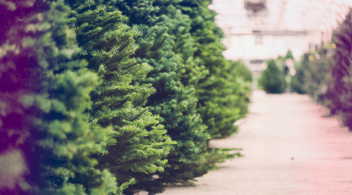 Choose a tree that has style, character, and a name that reflects your families unique personality. 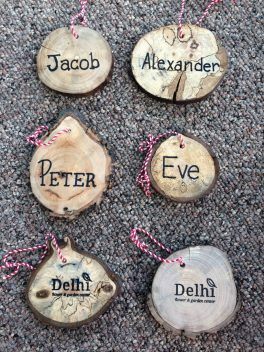 Each tree at Delhi Flower & Garden Center has a one-of-a-kind, handmade (by our own elves of course) ornament with his/her name hung from its branches. Stop in to find your tree by name!